Overview: The development of school social work is rooted in the school's recognition of the importance of nonacademic factors in the student's success in learning, adjustment and growth. 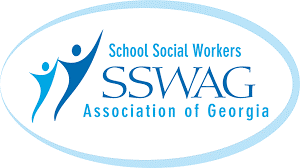 School social workers bring a unique professional knowledge and skills to the school system. They are hired to enhance the system's ability to meet its academic mission, especially where a priority on home-to-school and community collaboration is the key to achieving that mission. School social workers utilizes relationships between people and their environment in addition to prevention strategies and interventions that contribute to the overall health of the school environment. Prevention-focusing on the total wellness of the student body-and intervention-targeting those students at risk-are combined to promote a school climate that encourages all students to learn and to develop social competence. Through assessment, crisis intervention and coordination of community services, school social workers help students, families and school systems overcome barriers that interfere with learning. Mission: The School Social Worker facilitates the educational and individual potential of students by providing services that promotes school success. Vision: Every student will learn and achieve at his/her potential. A student may refer himself or herself for social work assessment and intervention, as well as being referred by a parent, legal guardian, school personnel or others familiar with the student.